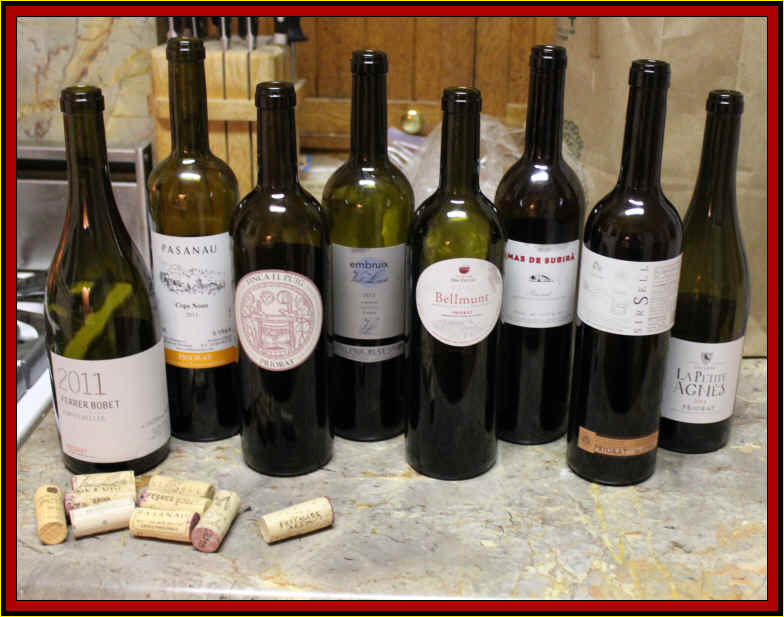 Host David Greiner was interested to survey some red wines from Catalonia and so we assembled a line-up of bottles from the Priorat region. 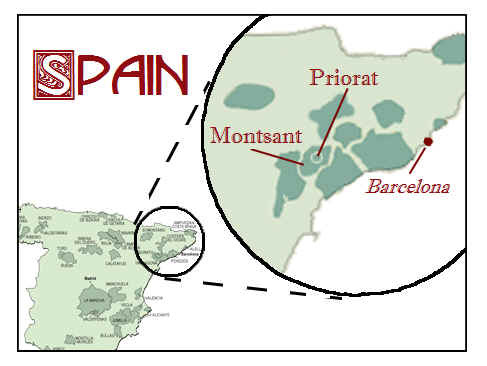 The Priorat region is only fairly recently on the wine map. Prior to the 1980s, the only wines seen were made by grower's co-op cellars and these didn't travel far. Things began changing in the 1980s when a couple of outsiders, winemakers from Spain's Rioja region, purchased some land and began making some wines. These outsiders began making some compelling wines. Most of them were labeled as "Clos This" and "Clos That." You'd see "Clos Mogador," "Clos de l'Obac" and "Clos Martinet" for example. 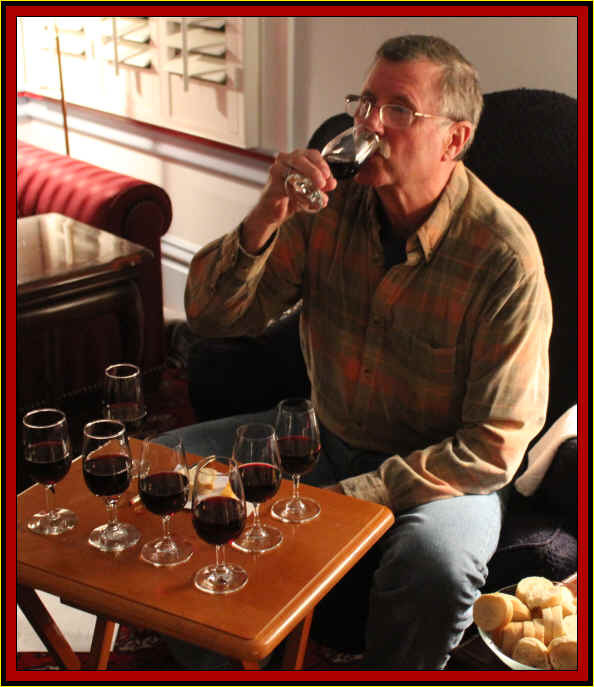 I read someplace that the early versions were all the same wine, but in the early 1990s each vintner made his own. Now I understood why one of the importers was noticeably pained when he saw we had a stack of one of those wines at a heavily-discounted price. Apparently the wine he imported was virtually the same and selling at its normal, rather lofty price tag. 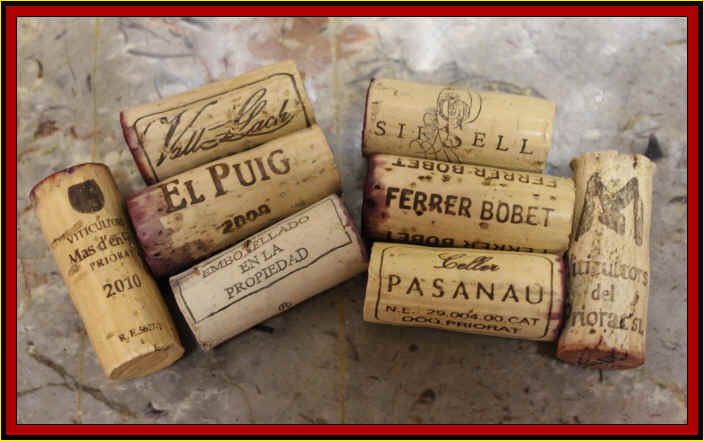 Over the past couple of decades there have been more wines in the market from the Priorat. In the early days, the 1990s, the wines were hugely intense and lavishly oaked. 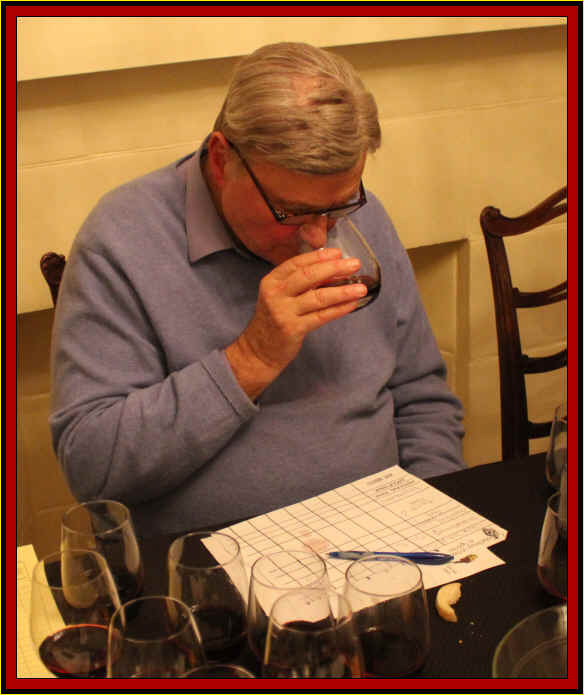 Then the alcohol levels began creeping up in hopes of making even more concentrated wines and bottles which might garner big numbers from those critics who award numerical scores. Prices crept up faster than the alcohol levels and we lost interest in the wines. So, revisiting Priorat was potentially quite interesting. The main grapes of the region are Grenache and Carignane, known to the Catalonians as Garnacha and Cari�ena. Some other grapes often appear in the blends...Cabernet Sauvignon, Merlot and Syrah, for example. 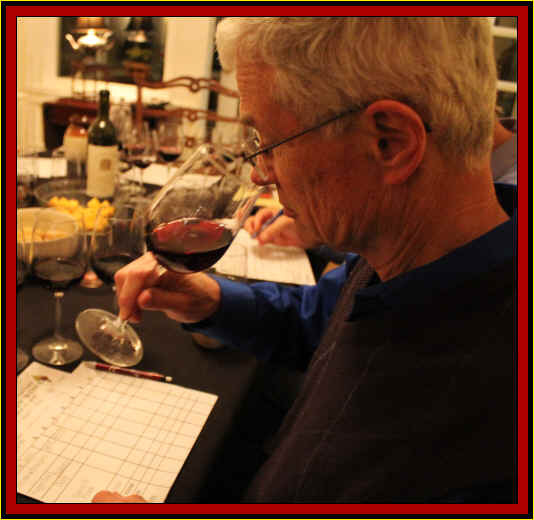 One wine was statistically well-ahead of the field of eight wines and one wine was a 'dead last' finisher. 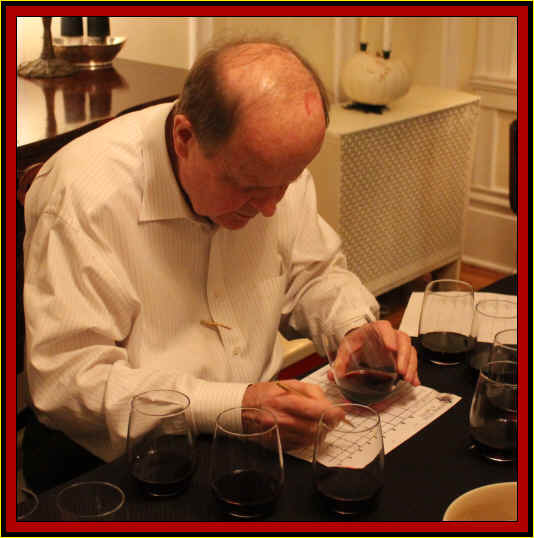 Four wines were log-jammed in second to fifth places. 8th Place: CAL GRAU 2014 Priorat "La Petite Agnes"
Showing light ruby color and clear in appearance, this wine showed it was vinifed to be drinkable in its youth, rather than being made into a structured, cellar-worthy red. The fragrances were quite fruity and showed some herbal, cassis-like aromas. I found it rather charming. It's dry and mildly acidic, with medium-light body. The flavors are fruity and a bit along the lines of a Beaujolais, but more red fruit punch sort of qualities rather than full-tilt strawberry. It's quite pleasant and nicely made. I gave it one star on my three star scale, no stars being standard, ordinary wine. This is not for aging, but was quite nice. 7th Place: CAPFONS OSS� 2008 PRIORAT "Sirsell"
Clear in appearance and medium ruby (still youthful!) in color, this had some dark fruit note immediately and a mildly earthy tone which seemed to become more prominent over the course of the tasting. It's dry and mildly acidic with medium+ body. The nose was promising perhaps a bit more than the wine delivers on the palate. It's very simple and has light tannins with not much depth. Perfectly okay, but with so many wines on the market...I generously gave it 3/4s of a star. This wine was medium ruby in color and clear in appearance. The fragrances, curiously, reminded me much of the "Sirsell" wine listed above. It had a similarly earthy tone on the nose. It had a bit more character on the palate. Nice berry qualities in terms of fruit, lightly tannic and a bit more focus and slightly more depth. One star. 5th Place: MAS D'EN GIL 2010 Priorat "Bellmunt"
Clear in appearance and medium ruby in color, this wine showed a faintly woodsy note at the start. I described it as a bit cedary. There was nice, dark fruit tones on the nose, too. Quite good! It's dry and mildly acidic. Medium+ bodied. I had this as a top choice early on, being quite enchanted by the fragrances. There's a bright raspberry tone on the palate in the center, with a fairly tannic exterior. I think it's quite good, but perhaps the tannin presently throws it a bit out of balance. I dropped it down to fourth place. One-and-a-half stars. 4th Place: VALL LLACH 2012 Priorat "Embruix"
Clear in appearance and medium+ ruby in color, this featured an earthy theme on its nose. 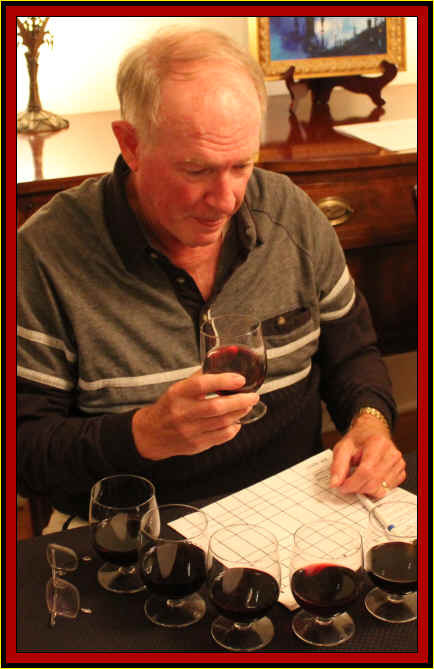 It seemed as though Carignane was a major player in the blend here, but after unveiling, we see that grape accounted for but 20% of this wine. The nose was not hugely enchanting, but on the palate this wine really shines! It's dry and mildly acidic and it's medium-full to full-bodied. There's plenty of tannin here, giving it a fair bit of structure. And, matching the tannin, we found quite a nicely intense black fruit component. It's deep, robust and impressive on the palate. I suspect it may go for 10 to 20 more years. I gave it a two star rating. 3rd Place: CELLERS FUENTES 2008 Priorat "Finca El Puig"
Deep ruby in color and clear in appearance, this wine started out well, showing a woodsy fragrance and lots of dark berry notes...very fine. Deep and complex on the nose. It's dry and medium+ in acidity, being full-bodied and full-throttle. It's robust, concentrated and moderately tannic. The nose promises a good wine and this delivers on the palate. It's a remarkable wine presently and I suspect another five to ten to twenty years will allow it to unfold even more. I gave it two+ stars. Marvelous! 2nd Place: PASANAU 2013 Priorat "Ceps Nous"
Medium+ ruby in color, this is clear in appearance. It's berryish on the nose and has nice intensity to the fruit. As I came back to it over the course of the tasting, a faint hint of pepper spice seemed to develop. It's dry and has good acidity. Medium+ body. It's another beautifully fruity red with moderately tannic 'edges.' The fruit is ample for this level of tannin, so I think the balance is proper. I'm guessing this can go five to fifteen more years. Two stars. Clear in appearance, this is medium+ ruby in color. It displays a touch of a cassis-like fragrance and a mildly woody note on the nose. The is dry and mildly acidic, with medium to medium+ body. I found this to be a charming red, with light oak on the palate and good fruit...again, another wine that's nicely balanced. 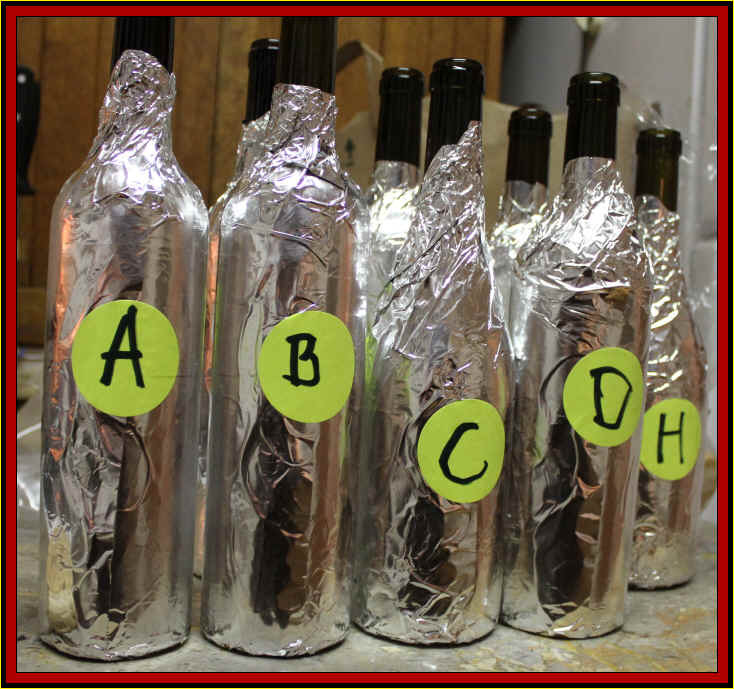 The tannin level is light to moderate and I pegged it as being at its best now to three to eight + years. One star from me, yet most of the tasters were more enthusiastic for this, possibly having an aversion to the tannin level of some other wines.